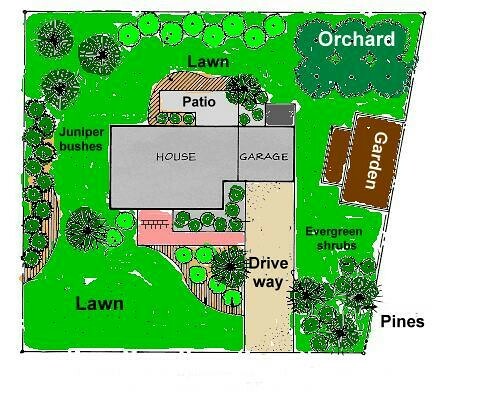 Leanne and I have been looking for a landscaping plan that we had designed for us five years ago. Sometime last summer, it went missing. We have been looking all over the place, but we can’t seem to find it. I’m sure it’s somewhere, but I have no idea where it could be. If you find it, or if you know someone who will do a new plan for us (for free) let me know. While I’m onto the whole parable thing (see my previous post), I thought I’d go down a more humorous path to let you in on a little bit of the Stolpe house and how it relates to another parable found in Luke 15. In The Parable of the Lost Coin, Jesus tells the story of a woman who loses a coin in her house. She searches and cleans and searches some more – until finally she finds her lost coin. When she finds it, she celebrates. In our house, we have lost something (like the landscaping plan mentioned above) every once in a while. At one point, we lost Isaac’s new bag of Nerf Gun darts. Obviously, he was upset. We searched all over the house without any glimpse of this bag. We searched in his room, we searched in the garage, we searched in the shed, and we searched in the basement. Nothing, Nada, Zilch. We couldn’t find Isaac’s treasured possession for months. Funny how things show up all the sudden. A couple of months ago, I was bringing up some lumber from our basement to our shed to construct our cold frame when I discovered the bag of darts laying beneath the pile of two by fours in the basement. When I brought them upstairs to show Isaac, you would have thought that I found the holy grail. He was so excited. His bag of Nerf darts which were lost had now been found! I think that’s a very mild version of how God feels when we return to Him. When we’re lost and going down life’s roads without reference to God, it’s like we’re a lost coin or a lost bag of Nerf darts. But when we return to God – when we put Him first in our lives, there’s so much excitement, joy, and celebration. So how about you? Are you a lost coin? Or is there unbelievable celebration going on because you are found? Now, if I could just find our landscaping plan!